The following are excerts from the book, 'Disturbing the Universe', written by Freeman Dyson and published in 1979. 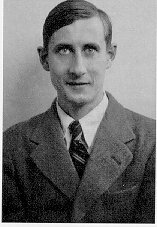 Mr. Dyson was a civilian scientist working at Bomber Command HQ in the Operational Research Section (OPR). The OPR was supposed to give the C-in-C of Bomber Command, for most of the war Sir Arthur Harris, independent scientific advice about strategy and tactics, etc. I will offer no editorial comments. However, in my interviews with several RCAF veterans I did ask them about some of the statements Mr. Dyson has made and what their opinions were concerning his statements. "Bomber Command was putting its maximum effort into the repeated attacks on Berlin that winter…The boys who flew in the Lancasters were told that this battle of Berlin was one of the decisive battles of the war and that they were winning it. I did not know how many of them believed what they were told. I know only that what they were told was untrue. By January 1944 the battle was lost. I had seen the bomb patterns, which showed bombs scattered over an enormous area. The bomber losses were rising sharply. There was no chance that our continuing the offensive in this style could have any decisive effect on the war. It was true that Berlin contained a great variety of important war industries and administrative centres. But Bomber Command was not attempting to find and attack these objectives individually. We merely showered incendiary bombs over the city in as concentrated a fashion as possible, with a small fraction of high-explosives to discourage the fire-fighters. Against this sort of attack the defense could afford to be selective. Important factories were protected by fire-fighting teams who could deal quickly with incendiaries falling in vital areas. Civilian housing and shops could be left to burn. So it often happened that Bomber Command "destroyed" a city, and photographic reconnaissance a few weeks later showed factories producing as usual amid the rubble of burnt homes." "On just two occasions during the war, a Bomber Command incendiary attack was outstandingly successful. This happened first in Hamburg in July 1943 and then in Dresden in February 1945. We started so many fires in a heavily built-up area that a fire storm developed, a hurricane of flame that killed forty thousand people and destroyed everything in its path. None of our other attacks had produced effects that were a tenth as destructive as the effects of a fire storm. The only way we could have won a militarily meaningful victory in the battle of Berlin was to raise a fire storm there." We killed altogether about 400,000 Germans, one third of them in the two fire storms in Hamburg and Dresden. The Dresden fire storm was the worst. But from our point of view it was only a fluke. We attacked Berlin sixteen times with the same kind of force that attacked Dresden once. We were trying everytime to raise a fire storm. "I was engaged in a statistical study to find out whether there was any correlation between the experience of a crew and their chance of being shot down. The belief of the Command,… was that a crew's chance of surviving a mission increased with experience…It had been true in the early years of the war that experienced crews survived better. Before I arrived I arrived at Bomber Command, the ORS had made a study which confirmed the official doctrine of survival through experience. The results of that study had been warmly accepted by everybody." "Unfortunately, when I repeated the study…,I found that thins had changed. My conclusion was unambiguous: the decrease of loss rate with experience which existed in 1942 had ceased to exist in 1944. In the ORS we had a theory to explain why experience no longer saved bombers. We now know the theory was correct. The theory was called "Upward-Firing Guns." The normal tour of duty for a crew in a regular squadron was thirty missions. The loss rate during the middle years of the was averaged about four percent. This meant that a crewman had three chances in ten of completing a normal tour. The pathfinders crews signed on for a double tour of sixty missions. They had about one chance in eleven of completing the double tour." "There was no easy way out for the boys who cracked. The rules of the Command were designed to ensure that crewmen should consider transfer a fate worse than death. When a boy was transferred for mental reasons, the cause of transfer was officially recorded as "Lack of Moral Fibre." He was, in effect, officially declared to be a coward and thereafter assigned to menial and humiliating duties. In spite of the public disgrace and dishonour that they had to endure, the number who cracked was not small. At Command headquarters, we knew that the number transferred out of squadrons before the end of their tour was roughly equal to the number completing the full tour. We were not allowed to know how many of those transferred were mental cases." In the ORS, those of us who studied the causes of bomber losses thought we had a promising idea for reducing the losses. We wanted to rip the two gun turrets with all the associated machinery and ammunition out of the bombers and reduce the crew from seven to five. The evidence that loss rate did not decrease with experience confirmed our belief that gunners were of little use for defending bombers at night. The basic trouble with the bombers was that they were too slow and too heavily loaded. … Bomber losses varied dramatically from night to night. We knew that the main cause of the variation was the success or failure of the German fighter controllers in directing the fighters into the bomber stream before it reached the target. An extra fifty miles an hour might have made an enourmous difference." "All our advice to the commander in chief was channeled through the chief of our section, who was a career civil servant. His guiding principle was only to tell the commander in chief things that the commander in chief liked to hear…. I still remember the shock I felt the first time I saw our chief in action. I happened to be in his office when a WAAF sergeant came in with a bomb plot of a recent attack on Frankfurt. As usual, the impact points deduced from flash photographs were plotted on a map of the city with a three-mile circle drawn around the aiming point. The plot was supposed to go to the commander in chief together with our analysis of the raid. Our chief looked glumly at it for a few seconds and then gave it back to the sergeant. "Awfully few bombs inside the circle," he said. "You'd better change that to a five-mile circle before it goes in." After this experience, I was not surprised to learn that our chief took a dim view of our suggestion that bombers might survive better without gun turrets. This was not the kind of suggestion that the commander in chief liked to hear, and therefore our chief did not like it either." I shared an office at Command headquarters with a half-Irish boy of my own age called Mile O'Loughlin…. One of the things that Mike was angry about was escape hatches. Every bomber had a trap door in the floor through which the crew was supposed to jump when the captain gave the order to bail out….A far larger number died because they were inadequately prepared for the job of squeezing through a small hole with a bulky flying suit and parachute harness, in the dark, in a hurry, in an airplane rapidly going out of control. The mechanics of bailing out was another taboo subject which right-thinking crewmen were not encouraged to discuss. The actual fraction of survivors among the crews of shot-down planes was a secret kept from the squadrons even more strictly than the odds against their completing an operational tour. From American bombers hot down in daylight, about fifty percent escaped. From the older types of British night bomber, Halifax and Stirling, about twenty-five percent. From, Lancasters, fifteen percent. … It was easy to argue that the difference in the escape rate between American bomber and Halifaxes and Stirlings was attributable to the difference in circumstances between day and night bombing. The Americans may have had more warning before they were hit and more time to organize their departure. It was obviously easier to find the way out by daylight than in the dark. No such excuses could account for the difference between Halifaxes and Lancasters. Mike discovered quickly the true explanation for the low escape rate from Lancasters. The escape hatch of a Halifax was twenty-four inches wide; the width of a Lancaster hatch was twenty-two inches…. Mike spent two years in a lonely struggle to force the Command to enlarge the Lancaster hatch. Ultimately he succeeded…. When total casualty figures for Bomber Command were added up at the end of the war, the results were as follows: Killed on operations, 47,130. Bailed out and survived, 12,790, including 130 who died as prisoners of war. Escape rate, 21.3 percent. I always believed that we could have come close to the American escape rate of fifty percent if our commanders had been seriously concerned about the problem. The last spring of the war was the most desolate. Even after Dresden, through March and April of 1945, the bombing of cities continued. The German night fighters fought to the end, and still shot down hundreds of Lancasters in those final weeks.